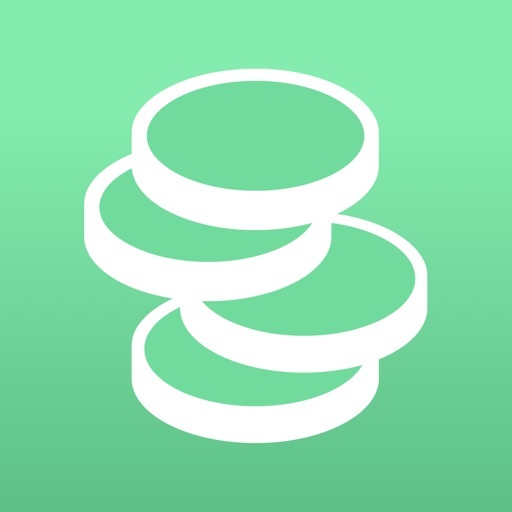 Pennies – Budget and Expenses App Data & Review - Finance - Apps Rankings! Pennies – Budget and Expens.. The applications Pennies – Budget and Expenses was published in the category Finance on 2014-10-09 and was developed by Super Useful Ltd. The file size is 90.52 MB. The current version is 5.7 and works well on 10.0 and high ios versions. Italian, Portuguese, Russian, Mandarin and Arabic added to Pennies! If Pennies is making your life easier and helping you save money, please consider supporting the app by opening the Setting page and leaving a tip in the Tip Jar. It would also be great if you could leave a positive review in the App Store, or update an existing one. I’d really appreciate it. As an indie developer it makes a big difference. Thanks! Do you like Pennies – Budget and Expenses applications? Please share! The app interface is nice, however, I wouldn’t mind my money back as there is little point to this app - no assets and liabilities or reports or any kind of expense analysis, just a manual entry number counter? Unless I am fundamentally seeing the app wrong, there is no way to build and Analyse a budget or cash flow or anything of the sort? Well written app by a great indie developer, Pennies hits all the key requirements without any of the unnecessary fluff. Support for budget rollover means you can use traditional envelope method and keeps your overall budget on track! awesome! Wish it connected to my bank, but besides that this app is a gem 💎. Thank you! Thank you! Thank you! I've been searching high and low for a high quality budgeting app that works as a digital version of the age old envelope system. So many apps over complicate the process by connecting to bank accounts and automatically categorising your spending, etc. Thank you for creating something that is simple and useable. AND it works on the Apple Watch! I’ve already recommended the apps to friends and family! This is a great app, I use it daily and find it is very useful. Minor bug that is quite annoying- if you have the app open and then press your home button, and then return to the app, the app freezes and you will need to restart it. Lacking lots of basic features. No options to categorise your spending, no charts or reports of any kind. Not worth it even if it was free. Tried about 8 budget apps, settled on Pennies, been using several weeks now. Absolutely wonderful! I wanted it to replace my “envelope” system. Now, I just transfer a fixed amount into my savings account linked to my Apple Watch, and Pennies lets me easily keep track of how much I have left on the Watch for lunch at work, holiday savings, school Expenses, fuel, etc. The rollover feature is great. When on, it means that account will build up over time if you don’t spend it all. Perfect! The app has an Apple Watch function which I actually find slow and fiddly, so I use my phone to punch in every purchase. HOWEVER the Watch complication is cool in the middle of Modular face - how much left in my primary account for today, and the period. It also has a widget for your swipe-right lock screen on your phone. The app icon also supports force touch for quick functions. You can choose from 4 sets of sound effects, and the background will be green-blue-red depending if you’re spending too fast or whatever. So polished. I can’t think of any way to improve this app. It’s slick, snappy, and absolutely perfect for what I want to do. Thank you! Note - this doesn’t link with your banks. You set it up at the start with when you get paid, how often, how much ... it’s all very easy, especially compared with the other budget apps on the App Store. I really like this app and prefer it over some of the others in the App Store as I don’t love the idea of linking my bank account and granting access to a random organisation. The layout is clean and simple to use and very customisable. 2 [small] things I would suggest. I was so confused about the use of the term ‘bi-weekly’ and wasn’t sure if this meant fortnightly or twice weekly. The other thing is it would be nice to be able to change the payroll date for existing budgets, for example when changing jobs. Only some very minor tweaks and bug fixes over time are the things I’m looking forward to and it’s well on its way to becoming a 5 star app! Love this app Had some issues (possibly corrupt data) and received fantastic personal customer service. Issue resolved! I have been using it for almost a year now. It is super easy to use and since starting with it my budget spreadsheet (I budget and track spending in Excel) is always accurate. Once a month or so I add my lump sum spending into my spreadsheet, knowing that I have entered almost all my expenses each day as I live my day- no time spent sorting through receipts in my purse! This app has been so so helpful in keeping track of how much money I have left in each of my budgets. My bills come out at different times of the month so I know I can always look on Pennies for an accurate number of how much extra spending money I have! Love it! I hope this app have a new feature that we can add some automatic spending, because we often have some automatic subscriptions such as Apple Music and Mobile Carriers. So, at the start of a period my budget will automatically minus some fees from my automatic payment which will make the app more convenient and clear. Thanks a lot! 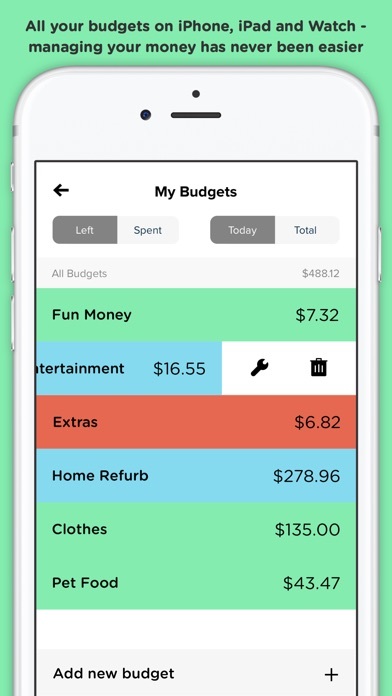 This is not a “budgeting app” in a classic sense. This is something your kids can use to see if they can afford to eat out and buy jeans. There’s no serious application for any adult. When I input what I make weekly and my bills, it wants to know how much money I’ll have left after every budget? 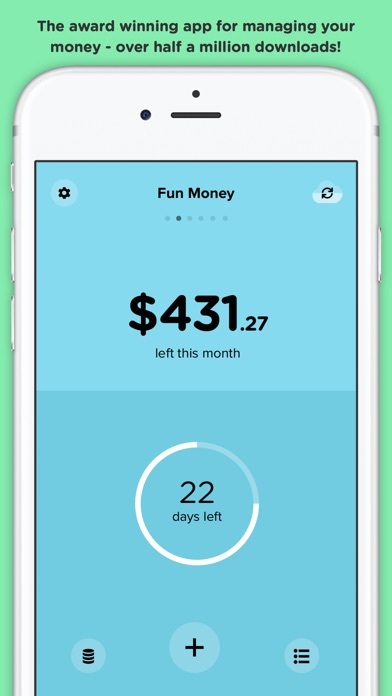 You do the homework and the app divides the money by how many days are left in the month to tell you how many dollars you can spend a day. 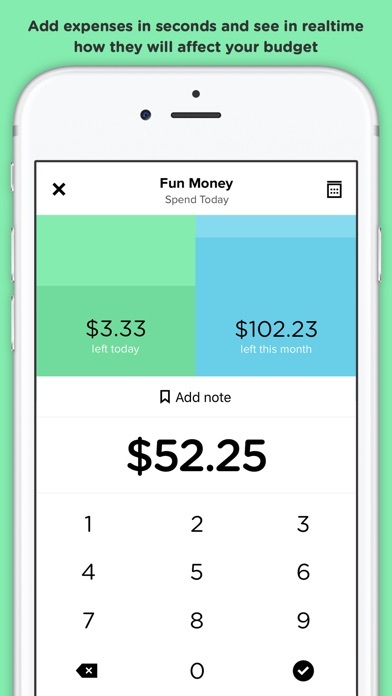 This is a childish attempt at a real financial app. Total waste of $3.99. I put in my expenses and payroll for this month and it still says I have all of that money to spend.😂 Nice try guys, the app looks good, but it’s for high schoolers or children, not adults. This application is so simple that I don’t understand the need for it. It would be useful if it was able to sync with your bank accounts and track your spending for you. There are a number of much more advanced free applications such as mint that I get a lot more out of. If you are really looking to save money and change your finances, download mint and acorns. If you have a hard time using a calculator or spreadsheet I guess you could use pennies app. Can I have a Payroll budget that resets when I want it to? Because my monthly allowance can come way too early (2 months’ worth being given at once) or way too late (3 months’ worth of delays). Or am I stuck with One-Offing everything? This app is really handy for those of us out there who need to keep track of what's left in your bank account. Very handy and easy to use too. Would definitely recommend this app. I use this to make sure I don't overspend at the grocery store. Very handy and quick. Love it. I am in love with the UI and controls, the app is colourful and friendly. That said I think it is missing a few major features such as setting pay day to the last Friday of every month etc. Just started to use and already loving it ! 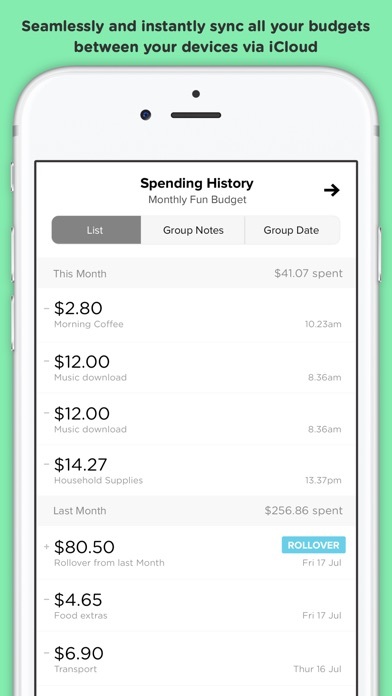 Certainly one of the most useful apps I have, a daily check on spending with a very simple interface. Some aspects of the ux are a bit opaque but overall a good idea well executed. This app doesn't know what day of the week it is - a significant problem when budgeting. 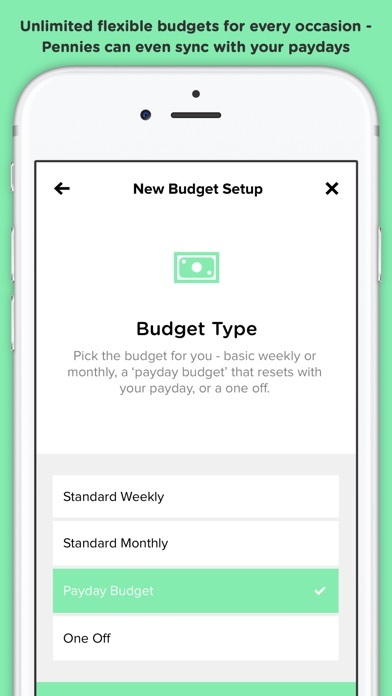 There's no option to correct its faulty calendar other than deleting your budget and factoring in the app's mistake into your next budget.